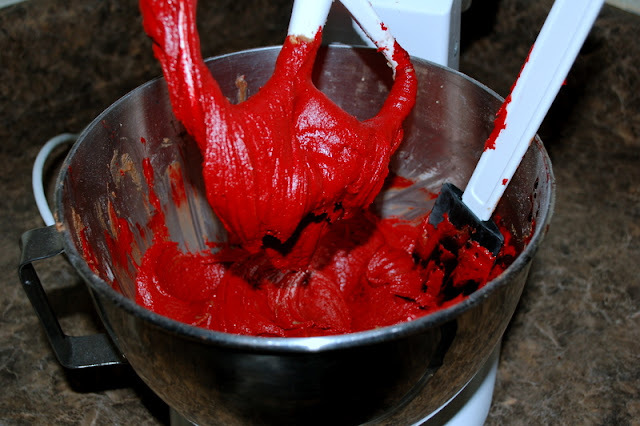 Red Velvet Whoopie Pies with Cream Cheese Filling to be exact! Give your loved ones an extra squeeze today. - Using a heart cookie cutter, trace hearts on parchment paper & place on a cookie sheet. - In a med. 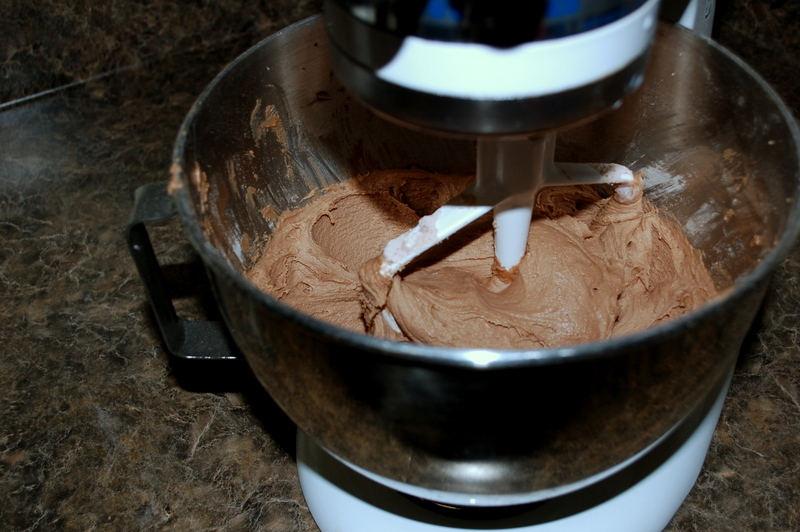 bowl, whisk together the flour, cocoa powder, baking powder and salt. 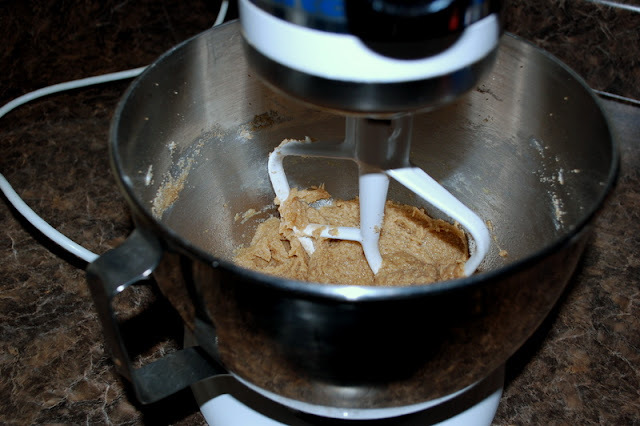 - In the bowl of a stand mixer, cream together the butter and brown sugar until light and fluffy, about 2 minutes. - Beat in the egg until incorporated, scraping down the sides of the bowl as necessary. Add vanilla. - With the mixer on low, beat in about a third of the dry ingredients, followed by half of the buttermilk, beating each addition until incorporated. Repeat until all the buttermilk & dry ingredients are added. - Finally, add in the food coloring. -Fill a large freezer bag with the batter, snip the tip, and pipe heart shapes onto the parchment paper, but don't fill the entire outline. - Bake 7-9 minutes, rotating the pans half way through. - Fill the face-up heart with cream cheese frosting, then form the delicious sandwiches! I ned to go bake these before my husband gets home! They are so delicious, definitely worth a try! Hope you had a great Valentine's Day! Great,look amazing! Really enjoying your blog and am your newest follower. Thank you! :) Glad you found me. Oh. My. Gosh. You are a culinary genius and I want to marry you! Bahaha I'm not sure a certain husband of yours would approve of that. But, I would be glad to be your treat baking mistress! I always need people to share things with as to not eat the entire batch myself.